There is a wide variety of walking routes throughout the Zaanse Schans. On foot, you see so much more. Move almost silently through the landscape and become one with this area of pure Holland. There is a wide variety of walking routes throughout the Zaanse Schans. You can decide for yourself how far you wish to walk and where your walk will take you. Every day theatrical walks are performed at the Zaanse Schans. Produced by ‘Daily Walking Theatre’ and directed by Ingrid Marsman, a local resident, guide and actress. 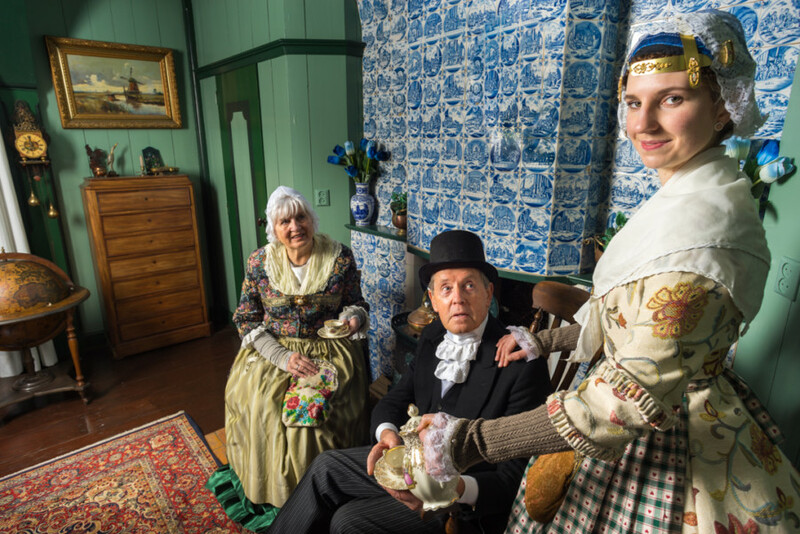 Join the “Mayor’s Walk’ with Kaatje Slagter a Mayor’s wife from 1850. Kaatje takes you on her daily walk. She knows everything about her neighbourhood and shares the latest gossip with you. Dressed in her favorite Zaan costume, she lets you relive times gone by. With this app, you can turn your smartphone into a digital tour guide, explore the Zaanse Schans and discover the amazing history of this picturesque jewel of Dutch cultural heritage. The app will take you past the beautiful buildings and the unique peat-meadow landscape. See the artisan clog makers, the cheese dairy, the weaving mill, the cooperage and the cocoa lab, in addition to a multitude of windmills and listed buildings. Take the digital tour to really discover the secrets of the Zaanse Schans. 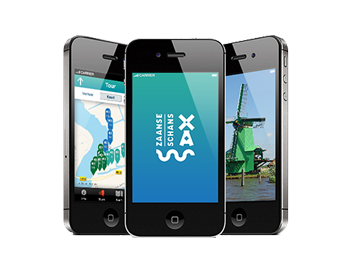 Your smartphone also offers interactive tours of the Zaanse Schans via the app. This app can transform your visit into a completely new experience! BEWARE! Het Laarzenpad is currently not available, because of the safety of the bridges.